Arrow Shooting Archery! Amazingly awesome strategy shooting game build for the people with challenging spirit. Arrow Shooting Archery requires full attention while playing require perfect strategy to shoot the arrow at perfect time and perfect placement. 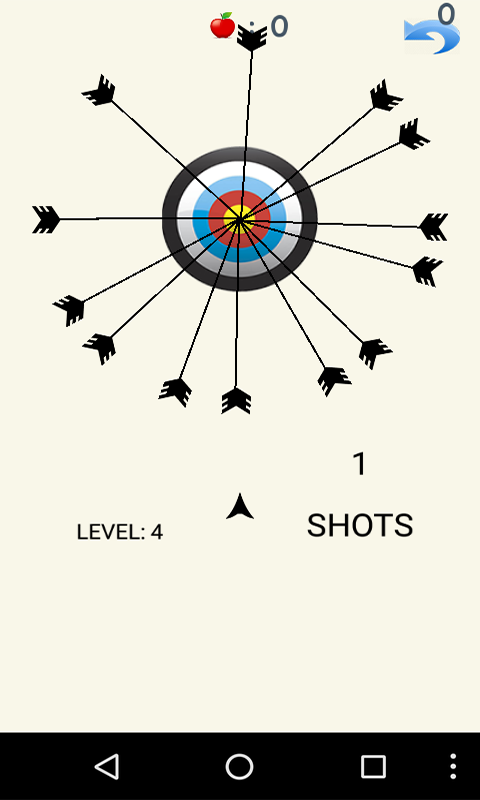 Use your full concentration to shoot the arrows at target without touching other rotating arrows. People of all ages can play this game, it also helps in improving your concentration power. 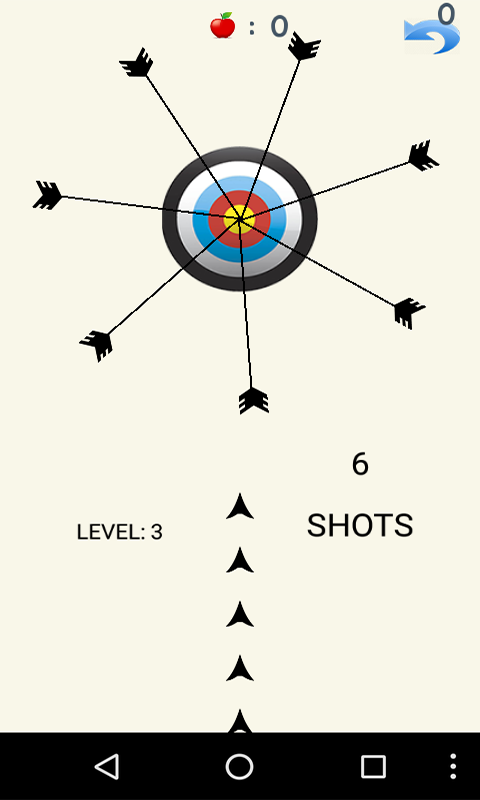 Modern Day archery kept in mind while making the game to make you a sniper archer. 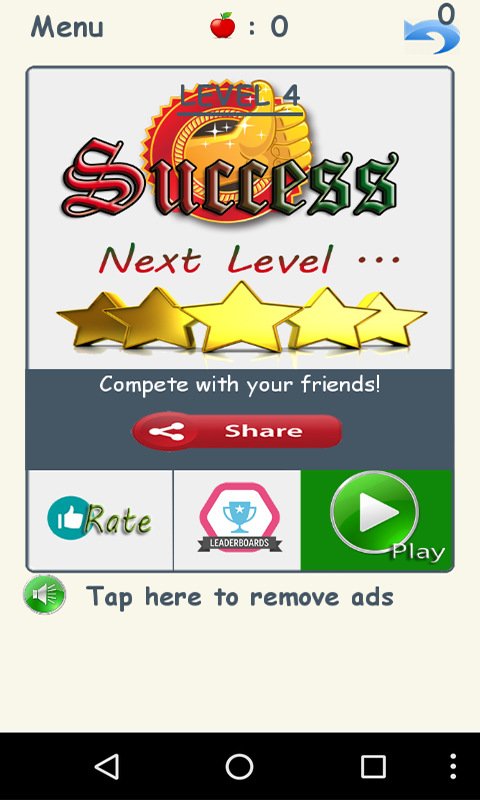 You can enjoy the crazy best strategy game with your friends and compete with them online for a high score. Get 5 rebirth for shooting 100 apples, you can use rebirth to continue from where you died. 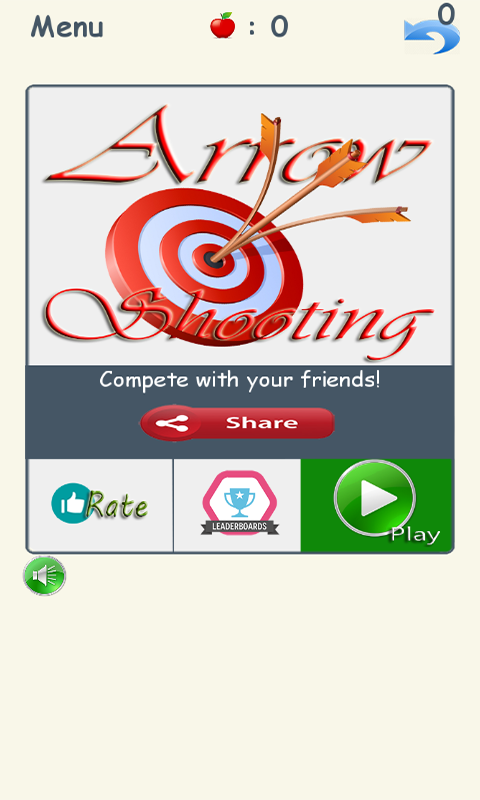 So, start tapping and enjoy this fantastic awesomes arrow shooting archery strategy game.